The Swedish magazine "Teknikens Värld" has published in their current issue the Summer Tyre Test 2015. The tested tyre size was 225/45 R17 W/Y, test vehicle was a Volvo V40 T5 . The test was conducted by Teknikens Värld on public roads and partly on the proving ground of Continental Gislaved / Sweden. The Polish magazine "Motor" has published in their issue (14-15/2015) their Summer Tyre Test 2015. 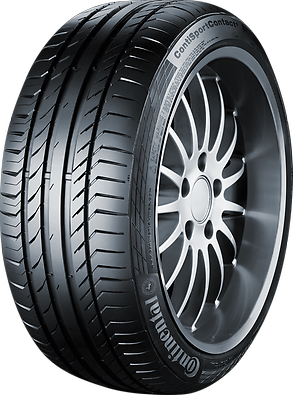 The tested tyre size was 225/50 R17 W/Y, test vehicle a BMW 328i. The test was conducted by Motor on Continental´s proving ground in Uvalde/Texas. The German magazine "sport auto" publishes in issue (05/2014) an UHP Summer Tyre Test. The tested tyre size was 225/40 R18 Y and the test vehicle a VW Golf GTI. In their March issue, Auto Bild Allrad (D) has published the 4x4 Summer Tyre Test. The tyre size was 255/55 R18 V/W/Y, test vehicle BMW X5. The German magazine "Auto Zeitung Allrad" publishes in issue (02/2014) a SUV Summer Tyre Test. The test size was 255/50 R19 W/Y and the test vehicle a Mercedes ML 350. The german magazine "Auto Zeitung" has published in today's issue (No. 6, 2014), a Summer Tyre Test for the tyre size 225/50 R17 W/Y. Test vehicle was a BMW 320i 170PS. In their September issue, Auto Express (UK) has published the Annual Summer Tyre Test 2013. The test size was 225/45 R17, test vehicle VW Golf VII. The test was conducted by Auto Express in cooperation with Goodyear in Mireval, France. 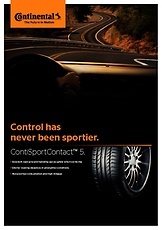 + "Our recommendation: The best tyres are ContiSportContactTM 5 and Goodyear Eagle F1 Asymmetric 2"
In their March issue, Auto Bild sportscars (D) has published the UHP Summer Tyre Test 2013. The test size was 225/35 ZR18, test vehicle Mini Cooper S JW.